Since 6 Oct 2010, BJCORP stat swing between RM1.03 till RM1.10 tight range. As 24 Dec 2010 closing, it is very obvious that forming bolinger band squueze. 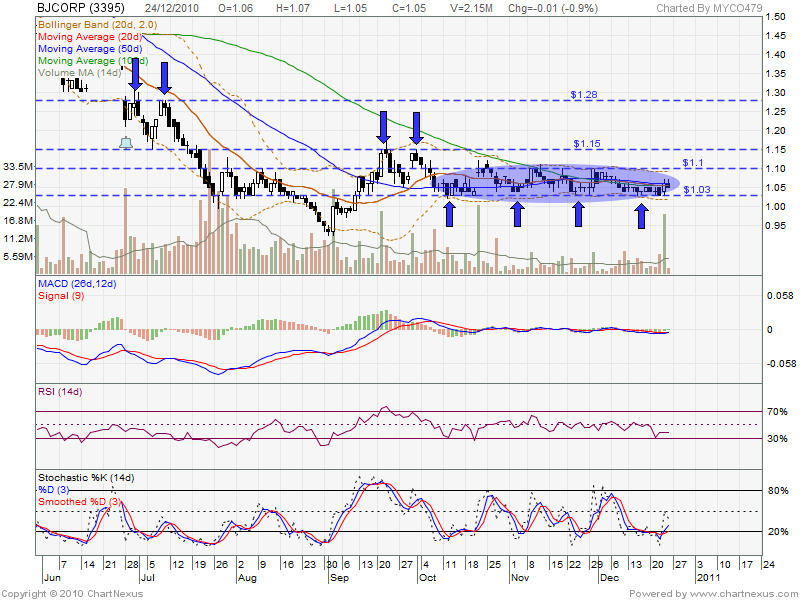 If BJCORP able break up RM1.10 with huge volume, thats a good entry opportunity. 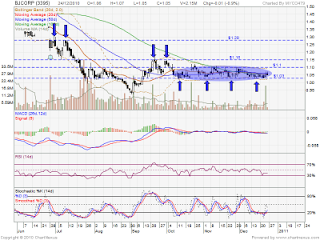 Next subsequent resistant level would be RM1.15 & RM1.28.